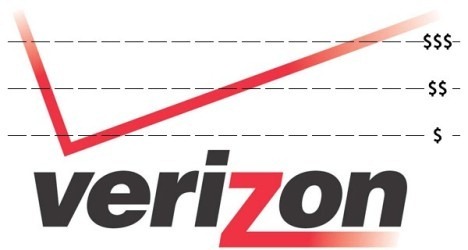 In case you haven't yet seen the actual costs of Verizon's plans, here's a reminder copied straight from our analysis. No, this isn’t a nightmare. The same price you’re currently paying for unlimited data ($30) will, if this rumor is to be believed, soon get you just 2GB per month. In fact, the closest thing to limitless data is the 10GB/month plan, which will cost nearly thrice the amount of money you’re already handing over to Verizon on a monthly basis. The good news? If you’re currently serving a contract, your old unlimited plan won’t be taken away, but you’ll probably have to sign up for one of these new data plans once you upgrade to a new handset (though Kellex isn’t completely sure of that). Ridiculous indeed. You may not be a Verizon customer, but odds are good that AT&T and T-Mobile will move in the same direction (even further than they already are, that is). So what's the point of this diatribe? We're just curious to see how many people will actually be affected; according to Nielsen, the average Android user consumes about 582MB of data per month, but we have no idea what the standard deviation is on that - that is to say, how wide the curve is on usage. Sound off in the poll, and drop us a line in the comments to share your thoughts. How Much Cellular Data Do You Use Per Month, On Average?